Polished Dreams: Sparklea Nail Polish - Moana Collection in Collaboration with Me! Sparklea Nail Polish - Moana Collection in Collaboration with Me! Hi everybody, today I'm going to be sharing possibly the most exciting blog post I've ever written! 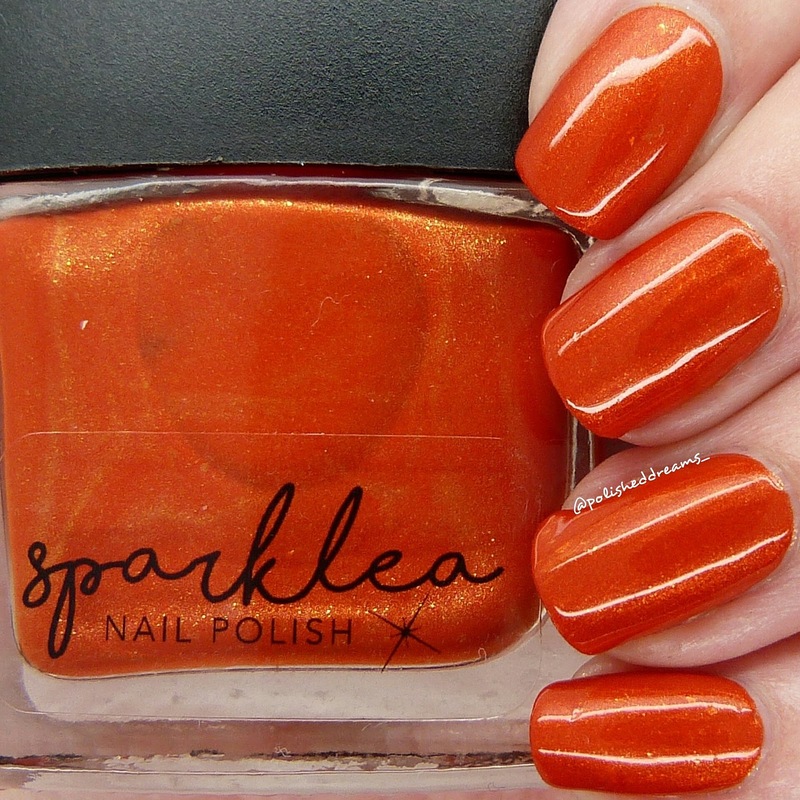 As you may have seen on Instagram, I've been sharing swatches of a new collection from Sparklea Nail Polish. Not only is it a beautiful new collection, it's a beautiful new collection I've collaborated on! A few months ago my very good friend and fab polish maker Lea asked if I wanted to do a Moana collection with her due to our shared obsession of the film and of course the only answer to that question was "YES!". We starting coming up with some ideas and I went away and created a mood board for each polish which was super fun and apparently really helpful for Lea. We settled on a collection of six and I am so so pleased with how they've turned out! There are Moana spoilers ahead so if you haven't seen the film yet, 1. Go watch it. Like right now. and 2. Just look at the pretty pictures and don't read the words. 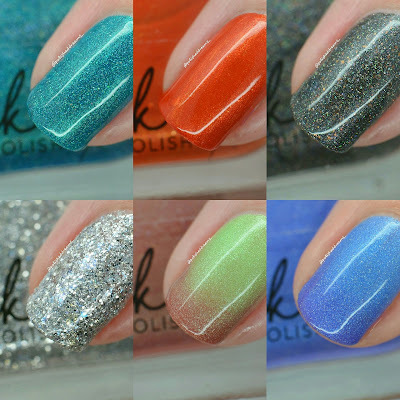 I can promise these polishes are all amazing. 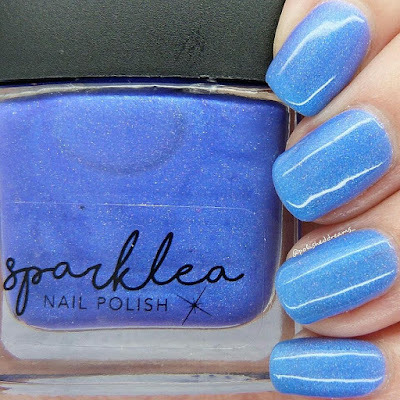 The first polish is 'The Ocean is a Friend' and obviously is based on the gorgeous bright blue ocean that featured in the film. This may not be a speaking role but I think we can safely say Moana would not have completed her quest without a little helping hand from the ocean. 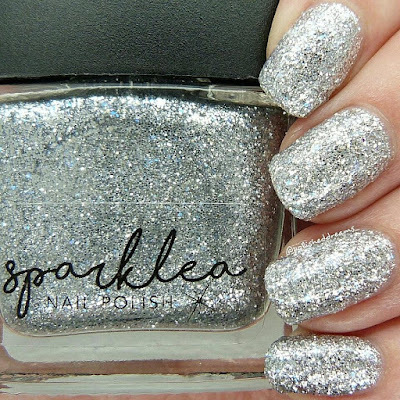 I wanted something bright and sparkly for this polish and that's exactly what I got! 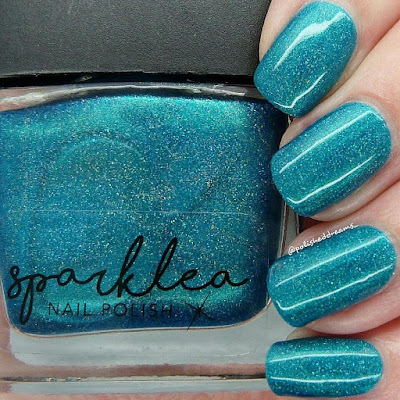 It's a gorgeous bright teal holo and I absolutely love it. Pictured here is two coats with topcoat. For the amazing demi-god that is Maui, we created 'Hero to All' a beautiful black holo with bronze flakies. 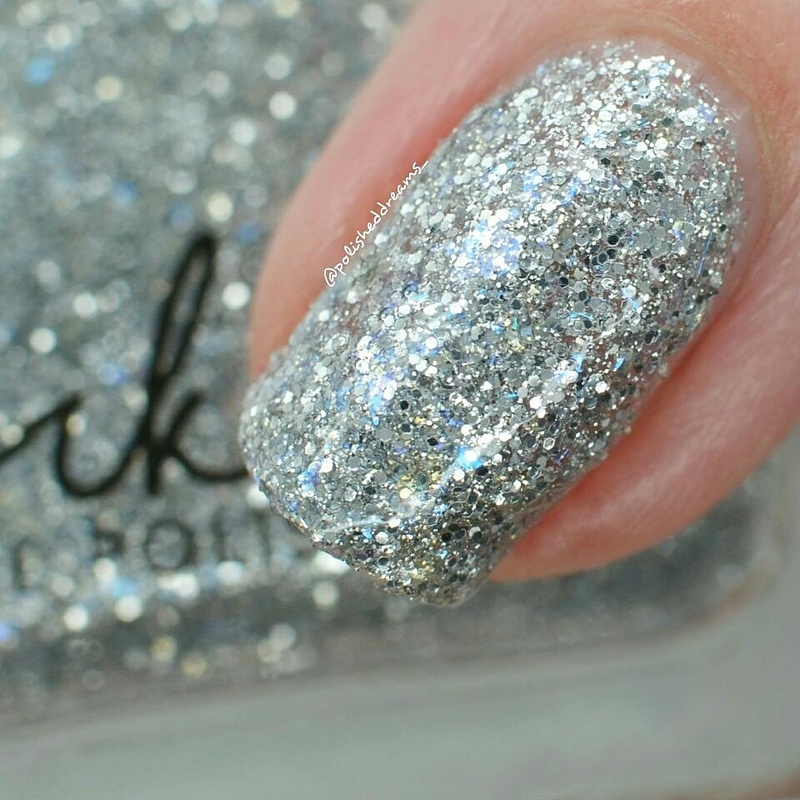 Lea had the brilliant idea of putting the flakies in and it made this polish 10x better than my original idea. That's why I stick to painting my nails and Lea makes them! We went for black inspired by his very impressive hair and tattoos and with the flakies being like his golden skin, it definitely screams Maui to me. This had a slightly thicker formula than previous Sparklea polishes but it wasn't something I disliked and it still applied superbly. Shown here is two coats and topcoat. For the main girl herself, I was inspired by the gorgeous colours of her outfits. 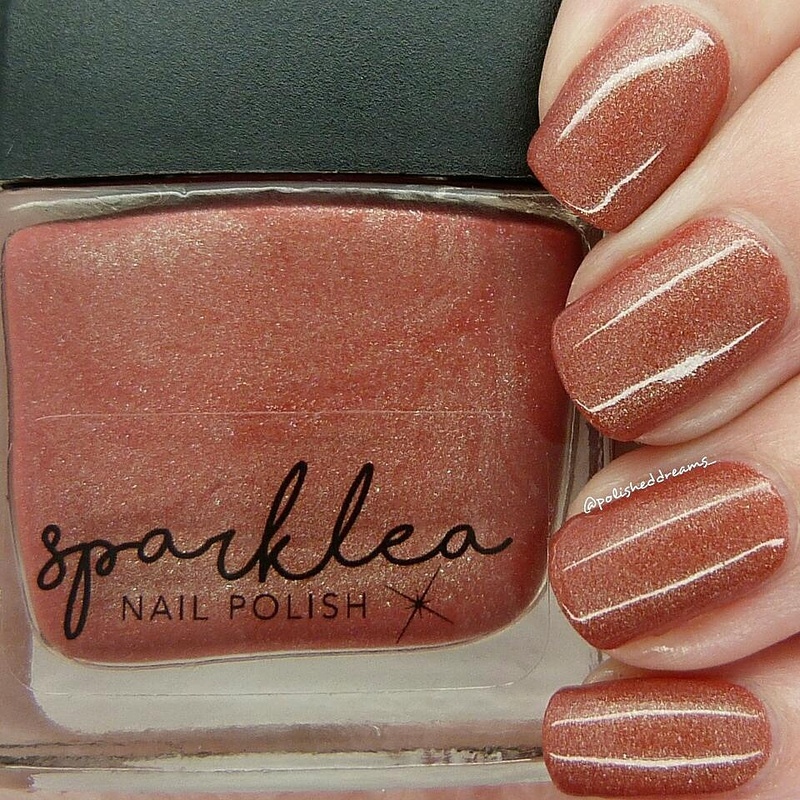 'Not a Princess' is a stunning burnt orangey red with golden shimmer and flakies. When Lea first sent me photos of this I was unbelievably excited, it was just so perfect! 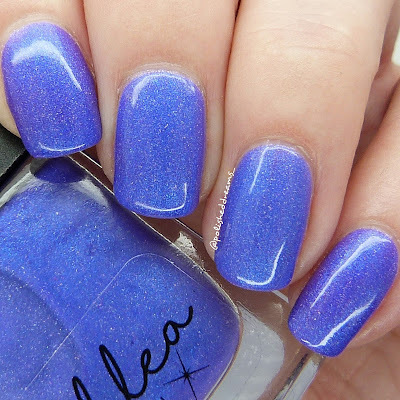 Again the formula seemed slightly thicker but like the others it was totally manageable and still applied beautifully. Swatch shows two coats with topcoat. 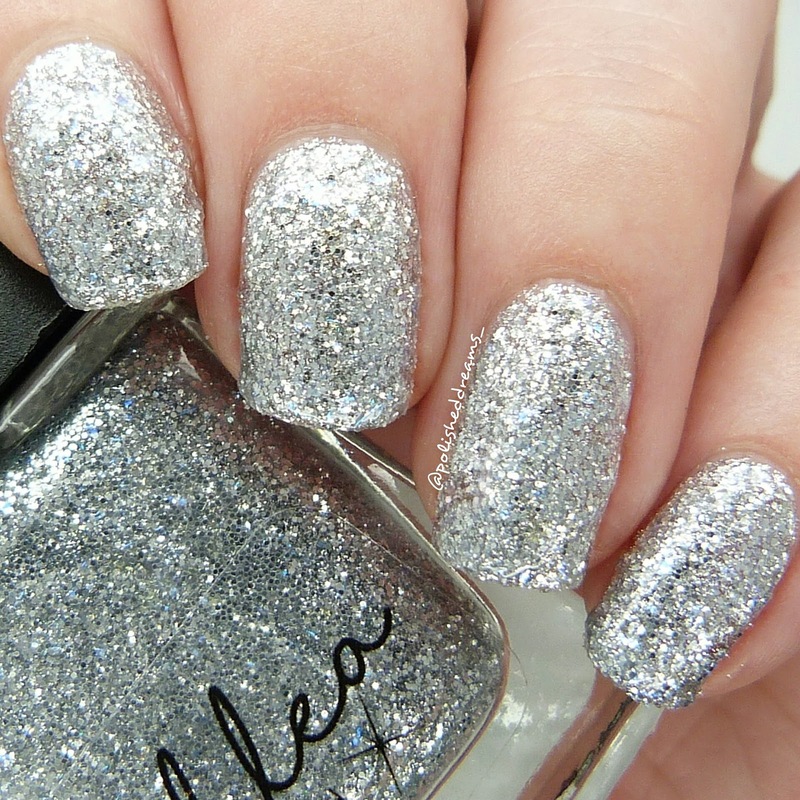 This next polish is the sparkliest of them all and Lea's favourite (I'm still unable to pick!). 'Village Crazy Lady' is based on Gramma Tala who, let's admit it, is one of the best characters in the film. Her transformation into a stunning glowing ray is what inspired the colour of this polish and it is filled with silver glitter and blue flakies. 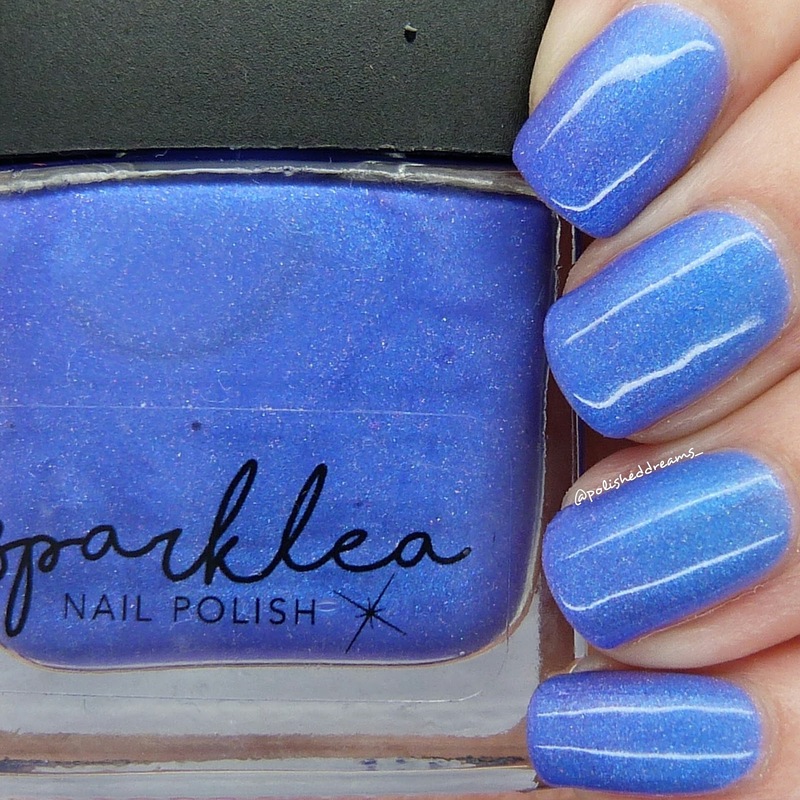 This is the thickest polish of the bunch but I did my swatches really easily. I'd recommend being patient and making sure each coat is dry before you paint the next and don't go over the same bit too many times. Considering it is basically glitter, I only needed one coat of topcoat for it to feel almost completely smooth. It was still a bit bumpy but it wasn't going to be catching on things. Pictured here is two coats with topcoat. The final two polishes in the collection are both thermals. The first is 'The Mother Island' and *spoiler ahead* is based on Te Fiti and Te Ka who we learn at the end of the film is one and the same character. Obviously this meant we needed a red to green thermal and thankfully one exists! Some holo was added too because y'know, it's a necessity. In it's cold state it is this sort of brick red and when warm it turns into this lovely bright green. 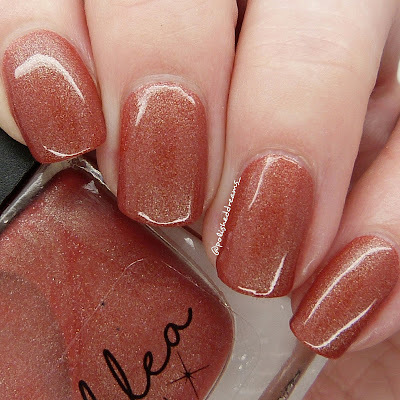 Yet another easy formula to work with and shown here in two coats and topcoat. Last but not least is 'I'd Rather Be Shiny' and if course a homage to Tomatoa the crab. I struggled a bit getting photos of this because when it's transitioning the shades look so similar but you can really see the difference in the individual photos. I also don't think it helped that my nails are so short but hey ho. There's some lovely blue shimmer in here as well as some scattered holo because as Tomatoa said "I'd rather be shiny". When warm it is this gorgeous purple and when cold it's a super pretty sky blue. Shown here is two coats with topcoat. Well, that is officially the Sparklea Nail Polish Moana Collection! I am so so happy with how these turned out and can't thank Lea enough for asking me. It's been so much fun and I had much better ideas than I expected haha. 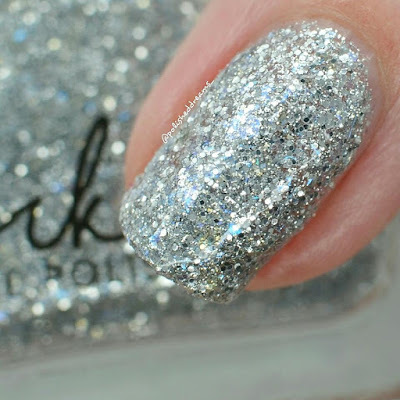 These will be available at 7pm tonight from the Sparklea website here. This is a one time only collection so once they're gone, they're gone!! 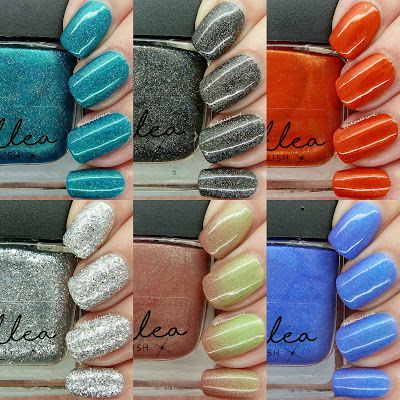 Lea is also doing a promotion where if you buy all six from the collection, you will also receive a free prototype polish! I've seen Lea's prototype drawer and believe me, you want them. Well I think that's it from me, thank you again and Lea and to everyone else... "you're welcome!"